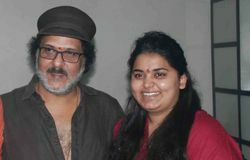 Crazy Star Ravichandran's daughter Geethanjali's wedding will be held in Palace Grounds on May 28, 29. Here is how much the invitation card costs. 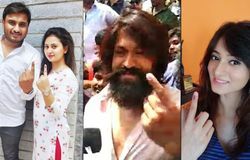 Sandalwood stars Kichcha Sudeep, Yash, Darshan, Shivarajkumar, Shubha Poonja, Ragini Dwivedi, Amulya, Shraddha Srinath and others cast their votes in Bengaluru in the first phase of Karnataka Lok Sabha election 2019. 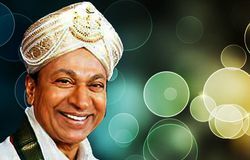 Here are the pictures of Sandalwood actors who cast their votes on Thursday. 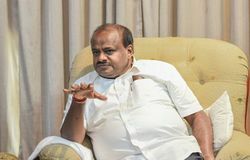 From Kumaraswamy car mishap averted to Rakshit versus Rashmika in August, here are five top headlines from Bengaluru. 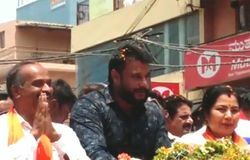 Sandalwood actor Darshan who has been seen supporting independent candidate Sumalatha from Mandya in her fight against the Congress-JDS in the Lok Sabha election, was seen campaigning for BJP candidate PC Mohan from Bangalore Central. 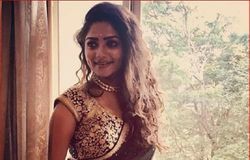 Sandalwood star Sudeep’s wife Priya launched the YouTube channel Kichcha Creatiions on the day of Ugadi on her official Twitter account. Sandalwood star Shivarajkumar all set for another Honeymoon! 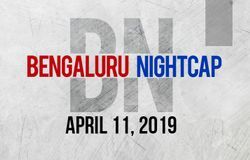 Sandalwood Star Shivarajkumar's production banner Shri Mutthu Cine Services is all set to launch another web series Honeymoon in association with Sakkat Studio. Sandalwood star Tiger Prabhakar's son Vinod Prabhakar is now sporting his eight pack, sending his fans into a tizzy. 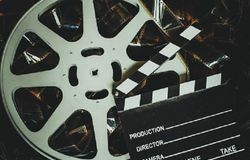 The actor has given a green signal for two movies directed by Kadu Shivu and a newcomer, and the shooting for both the films will begin from May. In 2015, the film "Rathavara" which is a Kannada action thriller film starred Srimurali and Rachita Ram in the lead roles. 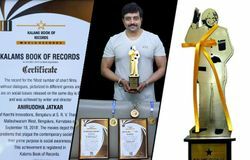 KGF Chapter 1 was released on December 21, 2018 and here is how the movie crew expressed their happiness on completing 100 days.